Padovicz has been making a name for himself as a buyer and modernizer of entire apartment blocks since the 1990s. 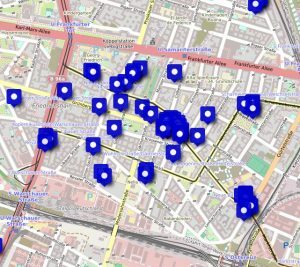 Closely linked to the Berlin Senate, he was one of the major beneficiaries of the public redevelopment subsidies in the context of the urban redevelopment of the 2000s. Municipal housing companies such as the WBF sold him their stock at ridiculously low prices. The consequences for tenants were, and still are, devastating: rent increases, destruction of social structures and ultimately displacement. The property management companies commissioned by Padovicz (Factor, Vivo and Neumann) refuse maintenance and constantly increase rent and operating costs. Even alternative living and cultural spaces as small businesses are not spared the pursuit of profit. Politics tolerate- we’ve had enough! 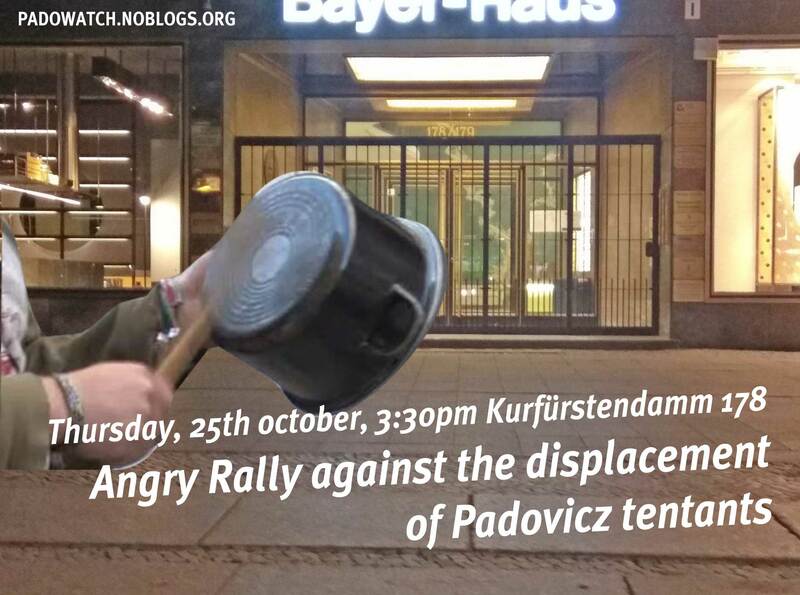 We, Padovicz tenants, defend ourselves against the business conduct of the Padovicz Group. This time directly in front of its company headquarters at Kurfürstendamm 178/179. The rally is intended to offer an open space to all those who have experience with this landlord. Tell your stories or send them to us so that we can present them to the public. Don’t stay alone with this. 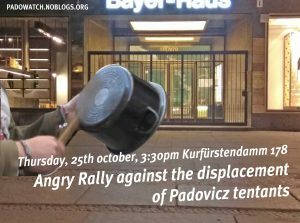 Bring cooking pots and spoons: We make noise against repression!